ZS performed a top to bottom hazard assessment on this high rise building to identify locations where fall hazards existed. ZS developed a range of Schematic Design solutions with the owner. 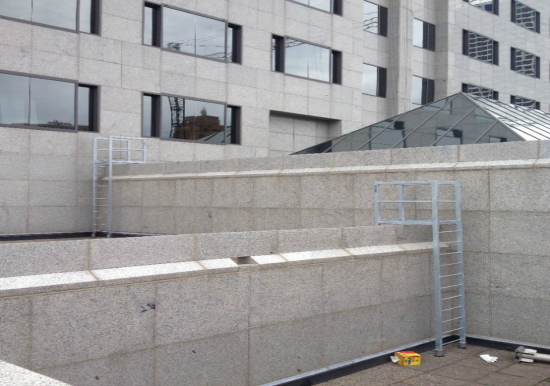 After selecting the solutions, ZS provided Construction Management Services, completed the project on time/budget, and tested/certified all systems. 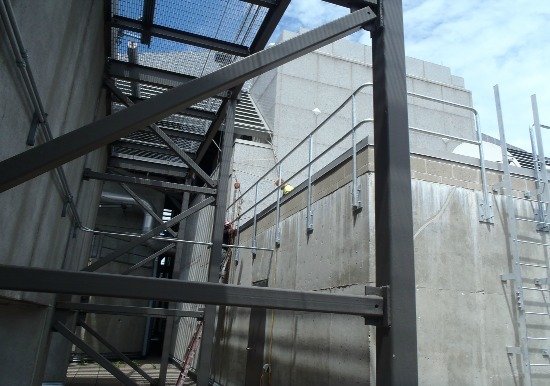 System limitations were identified and solutions engineered to meet the client’s budget needs while working to ensure the required fall protection safety needs were met. 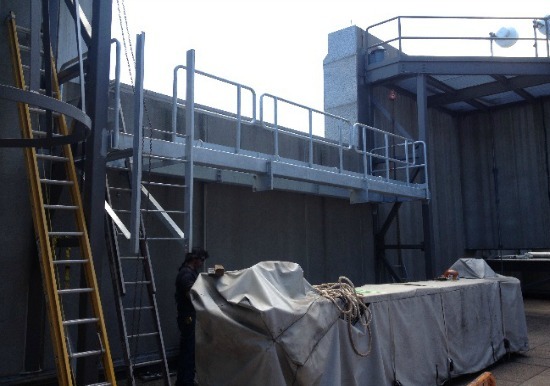 Maintenance Access Systems included: Guardrails, Work Platforms, Fixed Ladders, Swing gates for new/existing fixed ladders, and Anchors for Rope Descent window washing. 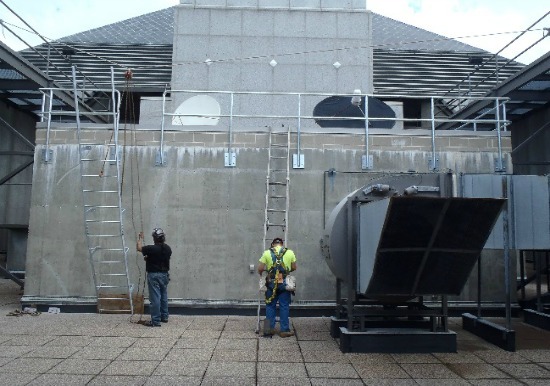 Fall protection components were field tested per OSHA/ANSI Standards and were certified for up to 10 years.